Hello again! It's been quite some time since my last post, over 18 months at least. Life got very complicated and busy. John required more and more assistance with daily life and in April 2014 he passed away. I'm not going into any details as those who know me well know the story. 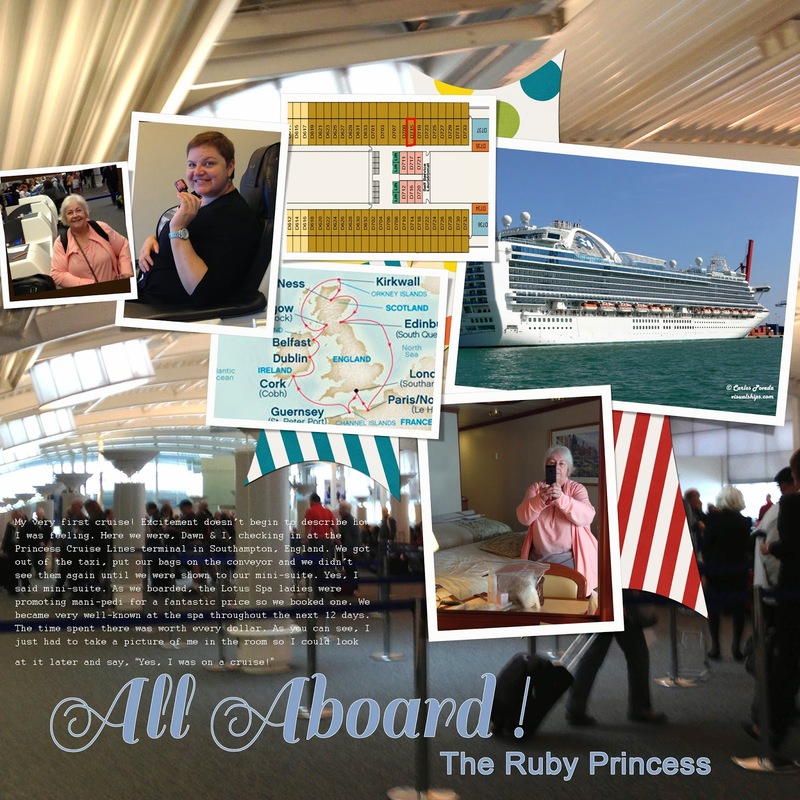 I have been busy doing some travelling and I will post some of my pages for you to see here. In May and June 2014, I stayed with daughter Kirsten and her family in London, England. For the first three weeks I just took things easy and rested while the family was either at work or school. Truly, I needed that quiet time to recuperate. Then I became restless and needed something to do. Kirsten reminded me I had always wanted to go on a cruise and I did. Not alone though! Daughter Tiffany's friend, Dawn (98% daughter) flew over from Canada, on a moments notice, and we sailed away from Southampton aboard the Ruby Princess for a 12-night tour of The British Isles. It was amazing and I totally fell in love with Scotland. 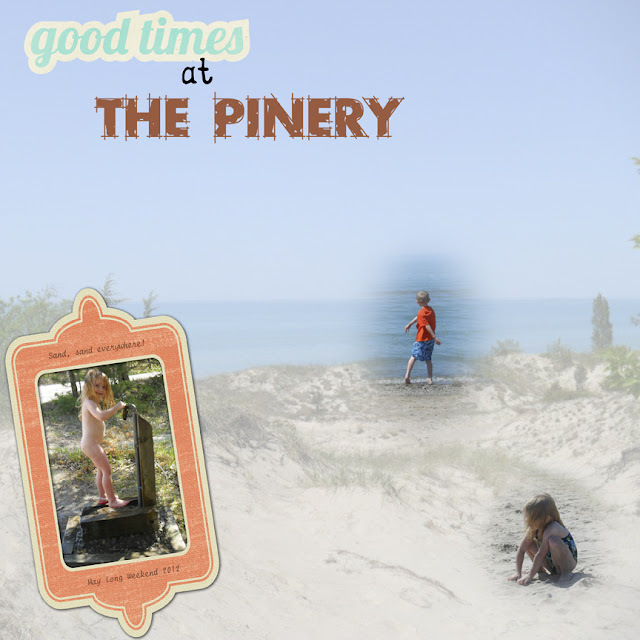 So much so that I'm planning another, longer visit this August with Kirsten, John, Owen, James and, hopefully, Tiffany. Here are some of my pages I have completed for that trip. Here we are at the Princess Terminal in Southampton. How excited we were. This was my very first cruise! And to be touring The British Isles, well, that was like a dream come true. I've always loved Britain and to finally be seeing some of it, well, ecstatic is a good descriptive word for how I felt. 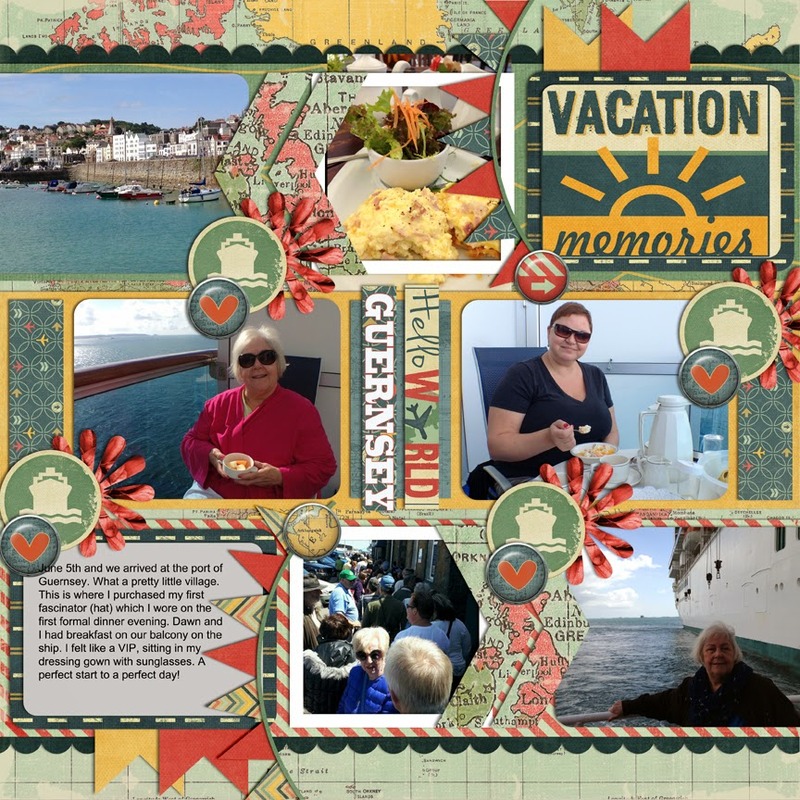 First up is our first stop in Guernsey. What a beautiful place. The people were very friendly and the history of Guernsey, particularly during WWII is unbelievable. I thoroughly enjoyed our first port-of-call. 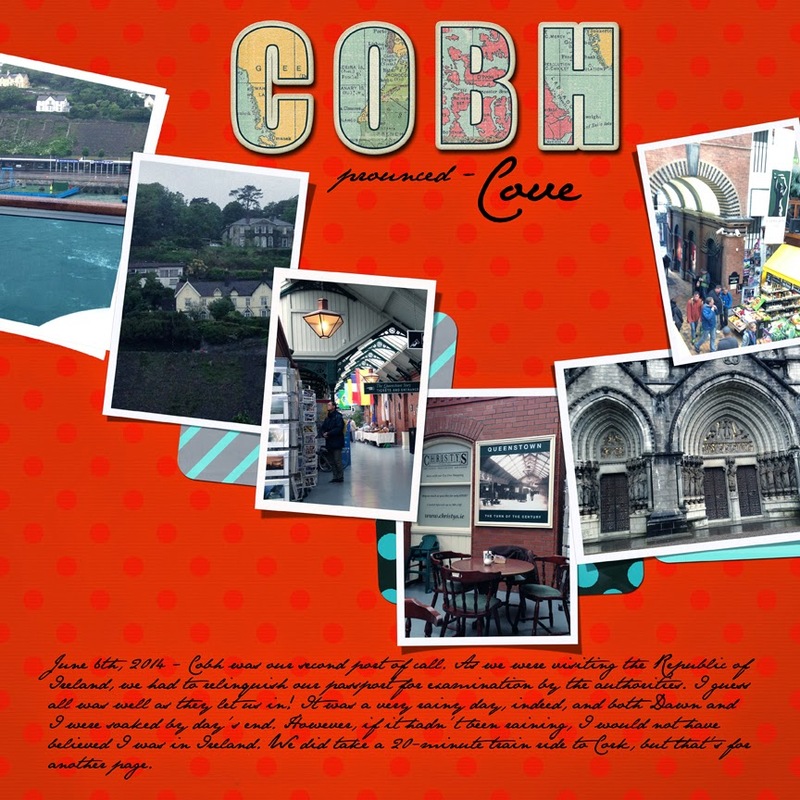 Next up was Cobh, pronounced Cove, in Ireland. It was rainy (not entirely unexpected), coolish and most enjoyable, even if we did get soaked to the skin. James loves his bath time and even more so when joined by Cassie! 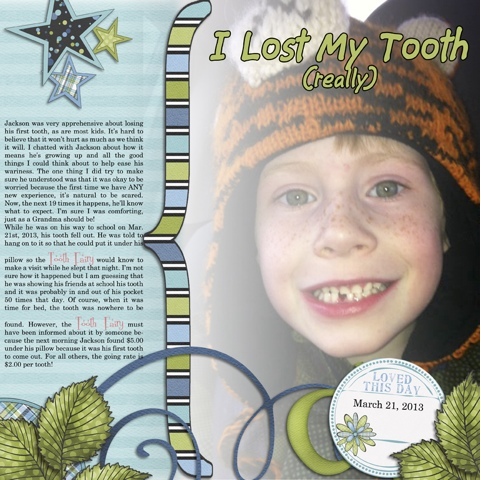 Jackson loses his first tooth! What an occasion for any child when the first tooth comes out! It's scary and exciting all at the same time. I am a member of The Daily Digi and each month for a nominal fee of $7.50 US, I can download $50.00 worth of digital kits for several designers, many of them well-known in the digi scrapping community. 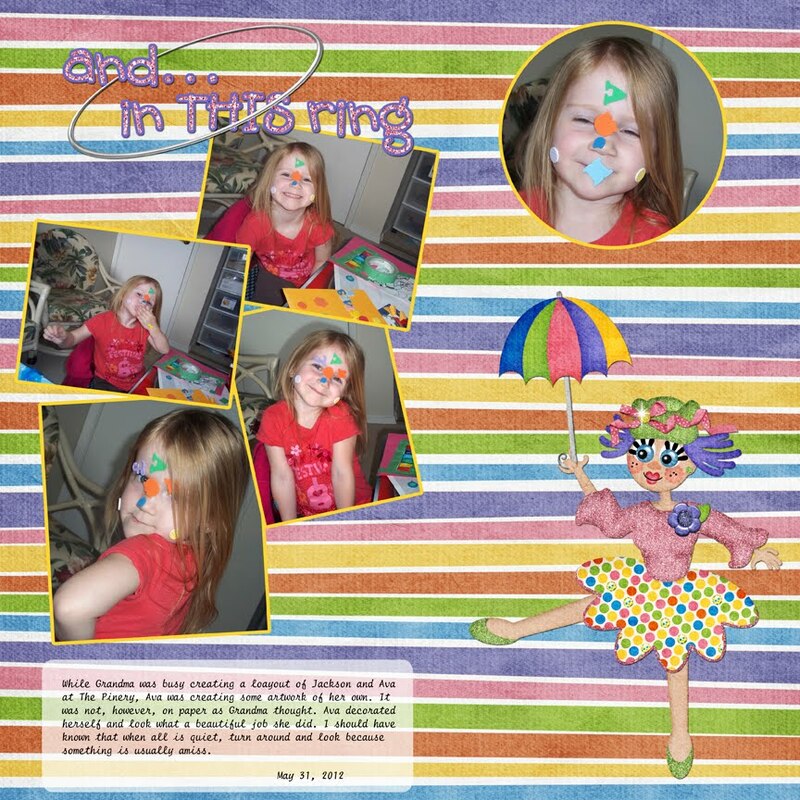 I created this page using Daydreamin' by Jump Start Designs. I also followed the tutorial in the March issue of Playbook, also part of the monthly goodies available to download. 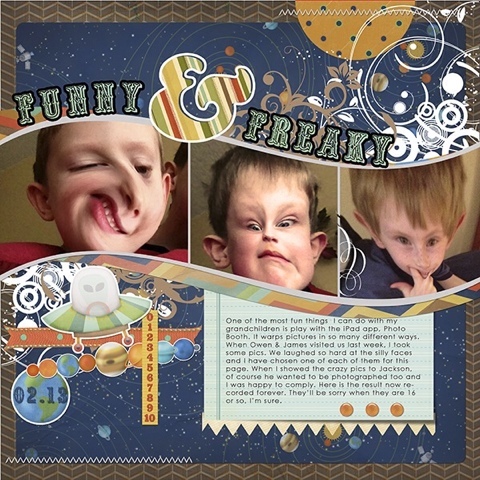 They have faces only a Grandma could love! Really! Jackson and Ava love to play in my craft room and now that they are getting older, I've taught them to use my craft tools and enjoy much quality time with them creating stuff. 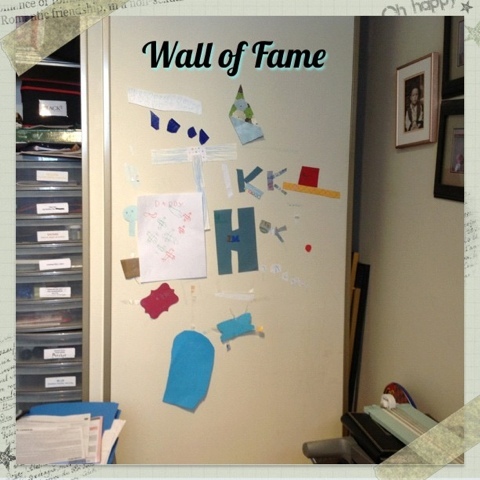 Once they discovered my tape rolls, they went to town decorating the closet doors. I can't wait for Owen and James to come for a visit in February so they can add their creations, too. iPad, iPhone, Motography, Instagram, mobile blogging to name just a few! You can "Follow Me" by tapping on the button to the right, or you can just watch the "real time" Instagram pics, also on the right. Easy prays! 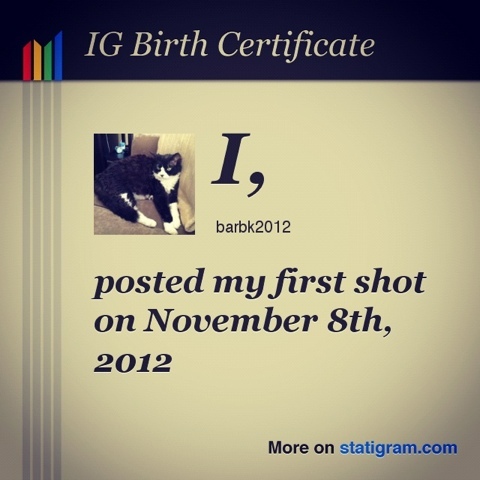 Here's my IG birth certificate. 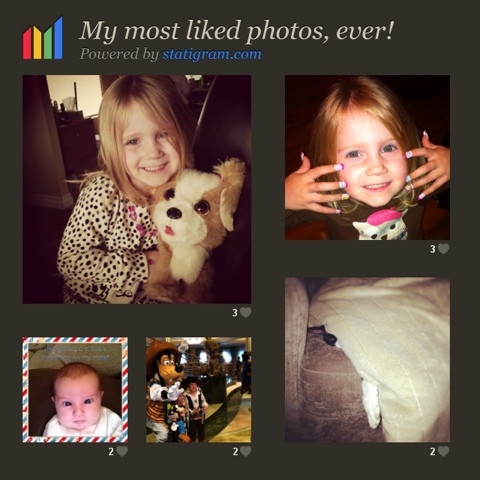 And here is a snapshot of the favourites chosen by followers like you. 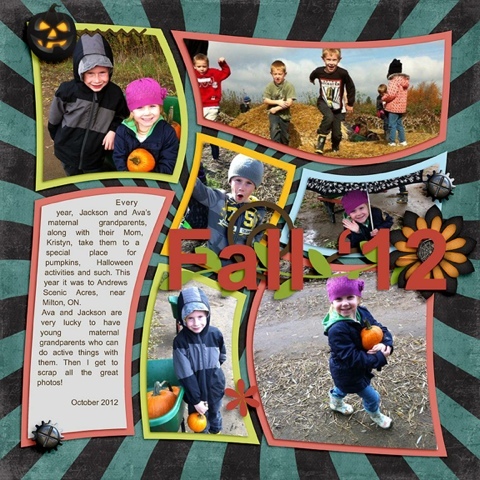 Not long ago these children visited Andrews Scenic Acres for some fun with their maternal grandparents. Looks like they had fun! 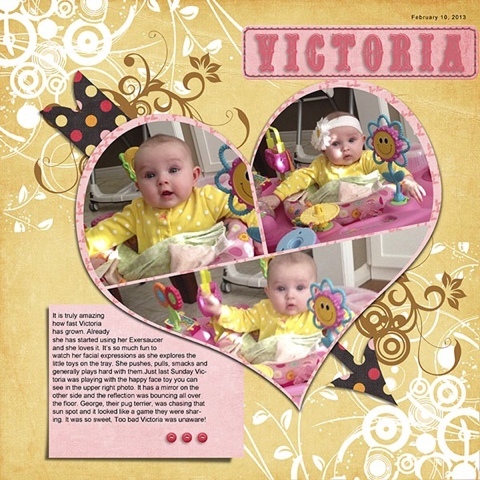 Here's a little video of our newest granddaughter, Victoria, born on Sep 22, 2012 at 10:30 pm. At least, I hope so! 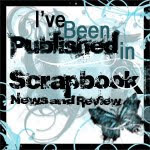 It's been a very long time since I've had any interest in my hobby of scrapbooking and cardmaking. In recent weeks, there's been a change and it's for the better. 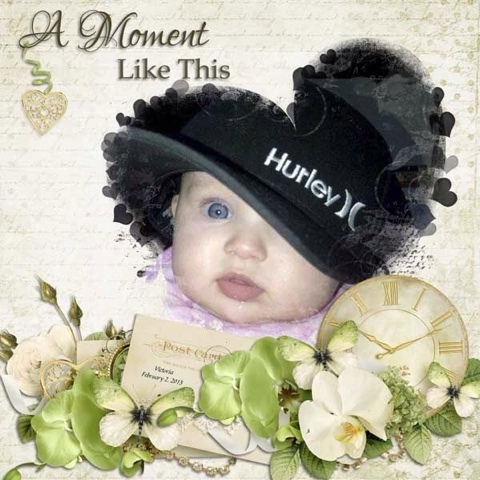 As I sit here in my craft room, my beautiful granddaughter, Ava, is sitting next to me at her little table and creating something of her very own with cardstock and stickers. I'm sitting at my computer playing, too! I downloaded these pictures from Facebook where Ava's mom posted them. Thankfully, her parents post pictures of the kids or I'd never have as many photos as I do.